We used the group version in my children’s church class of 4 & 5 year olds and really enjoyed it. I am using the home bundle with Ladybug as a review, working on the verses again later on. 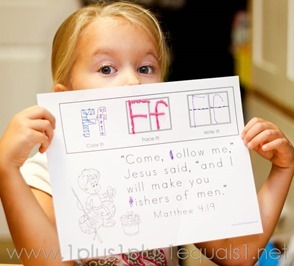 For example, in my class we are on the letter L right now, but at home we just worked on our review of letter F. She is in my children’s church class so she is getting the group teaching and then getting it again at home with me. Here’s a peek at the work she did at home. She loves the coloring page. She likes to make it match. Since she dislikes this page for now, we used Wikki stix for the middle set of letters, and she happily wrote the last set of letters and colored the first! 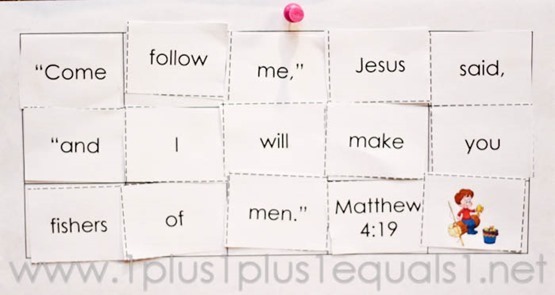 Cut and Glue the Verse ~ this is a great word work activity for her, identifying individual words and sounds she knows as well as the Bible verse as a whole. She uses the printable that has the light gray matching words on it. We have a banner at church, which you can see a glimpse of here on Instagram. Here is our home banner! And, here’s Ladybug singing the verse for you! 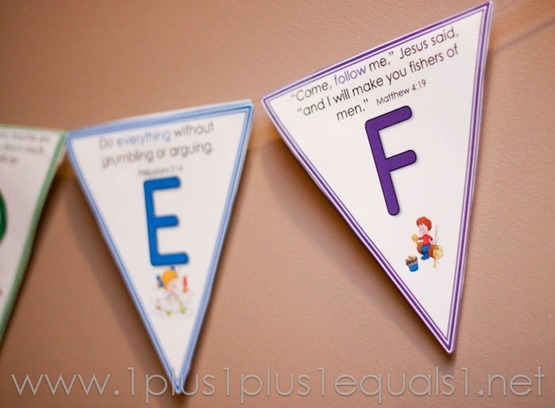 The verse tune printables are only available in the bundle but you can hear the tune for Letter F in this video! In case you don’t catch it, the tune is Row, Row, Row Your Boat. Seeds Family Worship also has a wonderful version of this verse on their CD Seeds of Purpose, it’s #11 “Fishers of Men.” See it here on Amazon! The free version is ONLY for home use. 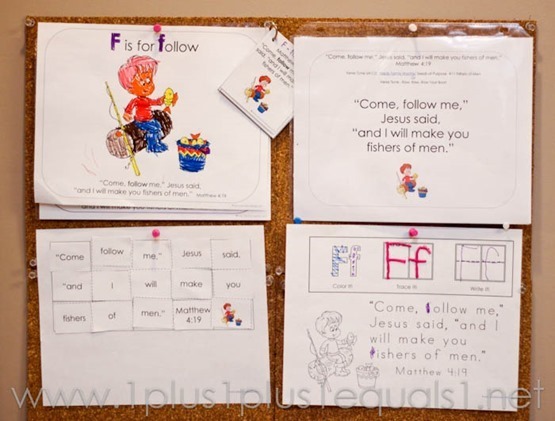 If you will be using these printables in a church setting, private group, co-op, preschool or other group you will need to purchase the group bundle here. 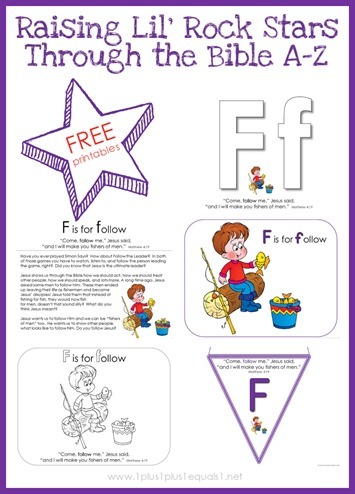 Download your free Letter F printables here! 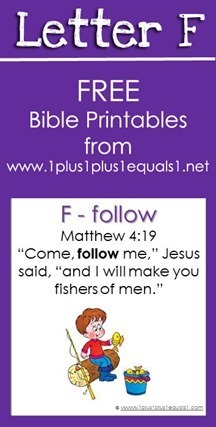 Scroll down until you see the graphic for letter F and click on it to download the PDF file. Download or printing trouble? See tips here! 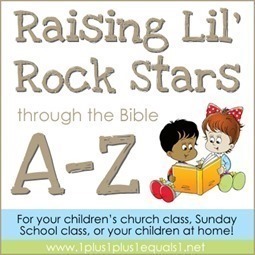 These printables are from Raising Lil’ Rock Stars, see more info here! See other letters in action by clicking the graphics below!